For Bibiana González Rave, crafting exceptional wine takes soul, passion and a deep connection to the land. Bibiana believes a vineyard is a direct reflection of the work put into it by human hands. She is an involved winemaker who can often be found walking through the vineyards, developing pruning methods, canopy management practices or checking fruit during the maturity process. Her knowledge of vineyard practices is apparent in every small detail and her constant strive for excellence is evident at first sip. Bibiana’s love for the art of winemaking leads to wines of unique purity, finesse, and reflection of their origins. Born and raised in Colombia, Bibiana had little exposure to wine culture. At the time, wine was not part of everyday life in her native country. Rather, it was considered a luxury item to enjoy only during special occasions. She would sip from her father’s glass and became fascinated by the nuances of wine, its deep-rooted traditions, and its history. By the age of 14, she knew she would become a winemaker. The only question was how to get there. In Colombia, she studied chemical engineering and business. She later moved to the birthplace of modern winemaking, France, to study viticulture and oenology in Cognac. She earned a bachelor’s degree at the University of Bordeaux, graduating with honors. Bibiana’s constant pursuit of excellence brought her to work with some of the best wineries in France, including Château Haut-Brion, La Mission Haut-Brion and Château la Dominique in Bordeaux, Michel & Stephane Ogier and Domaine Clusel-Roch in Côte-Rôtie, Domaine du Scheidecker in Alsace and Domaine du Devevey in Burgundy. It certainly wasn’t an easy journey. Winemaking in France is often a family affair. Bibiana was an outsider and spoke no French. Vineyard and winery work is physically challenging, and some producers doubted her ability to do the job. But she wanted to do it all and convinced them to take her on. Bibiana’s first vintage in California was 2004. Since then, she hit the ground running. She worked six harvests in three years, traveling to South Africa to work harvests at Soronsberg Cellars in the Tulbagh region. Back in California, she worked at La Crema, Peay Vineyards, Au Bon Climat and Qupé before Lynmar Estate, where she was winemaker from 2009 through early 2012. Her label Cattleya was conceived in 2012 and so was Bibiana’s career as Consulting Winemaker. Since then, she has earned a remarkable series of accolades and rave reviews for all her wines and those of her clients. 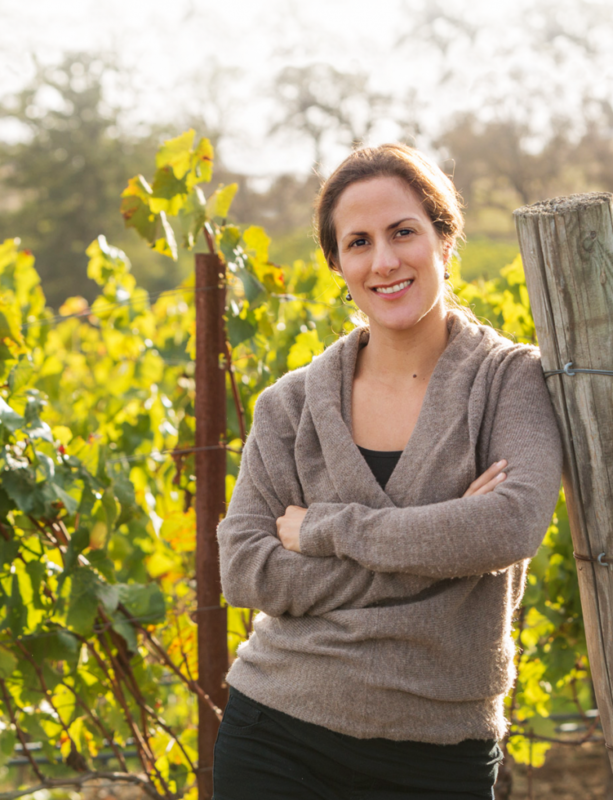 She was named one of Wine Enthusiast’s first “40 Under 40: America’s Tastemakers” in 2014 and in 2015, she was named “Winemaker of the Year” by the San Francisco Chronicle. Over the past six years, Bibiana was exclusively Consulting for Wayfarer and Pahlmeyer, honing her expertise in farming practices, taking over vineyard management and winemaking for a then-inexistent brand known today as Wayfarer, and stands among the best Pinot Noirs and Chardonnay producer from the Sonoma Coast. She also produced her first Napa Valley wines under the Pahlmeyer and the Jayson labels. Bibiana is married to winemaker Jeff Pisoni of Pisoni and Lucia Vineyards and together they craft Shared Notes, an homage to Sauvignon Blanc and their only joint winemaking venture. The couple has two young sons, Lucas and Diego, who can often be found tromping through the vineyards or at the winery right alongside mom.